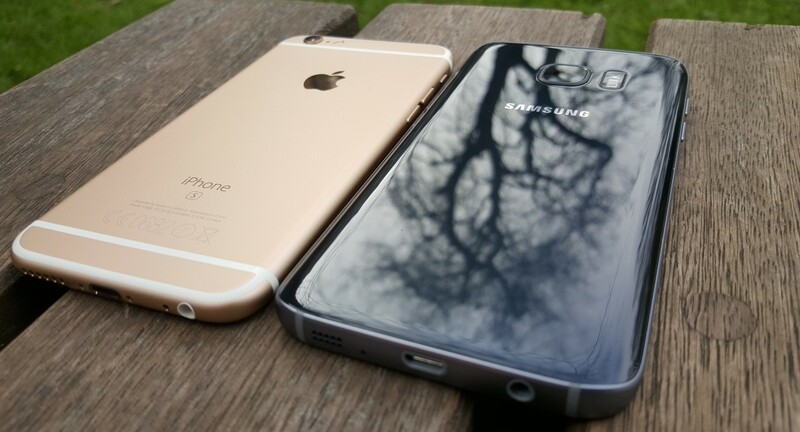 Everything you know about the Galaxy S7 and iPhone 6S is wrong. Once accused of becoming increasingly identical, in 2016 the ranges offer very different propositions. The result? A tantalising contest where each phone scores big wins and takes heavy losses. On top of this the Galaxy S7 adds substance: wireless charging, the return of expandable storage and water resistance – none of which the iPhone 6S can match. I’ll deal with wireless charging and expandable storage later and focus on water resistance now because it works brilliantly. Yes the iPhone 6S has some (unofficial) water resistance, but the Galaxy S7 fully lives up to its claims of surviving full submersion for up to an hour in 1.5m of water. Being able to take that call in the shower, adjust your music playback in the bath and not worry about emailing during a heavy downpour makes for a very welcome differentiator. And yet neither of these phones are perfect. Both remain far too slippy in hand and you’d need to be Spider-Man not to drop them at some point without a case. The glass back of the Galaxy S7 is a key factor in this and it also gets sticky when warm as well as being a fingerprint magnet. So why have it? Currently glass is key to wireless charging, but a solution could be on the horizon. Read more – Galaxy S7 Vs Galaxy S7 Edge Review: Should You Upgrade? In 2010 Apple changed the smartphone market with the ‘Retina Display’ in the iPhone 4, but in 2016 it is Samsung which is now way out in front. Yes the stats imply Samsung has a significant edge, but in truth their resolutions and panel types are not the main factors. The Galaxy S7 simply gets the big stuff right: it is brighter, sharper, has more vivid colours, deeper blacks and works better in bright daylight. Side by side there’s simply no comparison. The Galaxy S7, coupled with the Galaxy S7 Edge, have the best smartphone displays currently available, period. Also looking good – though of less value, in my opinion – is the S7’s new ‘Always-on’ display. What this translates to is the ability to permanently show the time/date/calendar or an image at all times which can be handy. That said it isn’t as useful as similar screens on Google and Motorola’s Nexus and Moto ranges which provide glanceable information that includes Android notifications. So yes, Always-on looks nice and battery drain is reasonable (circa 1% per hour) but I ended up switching it off. And yet where the Galaxy S7 has beauty, the iPhone 6S has brains. Arguably the headline feature of the iPhone 6S is ‘3D Touch’, a pressure sensitive panel which can differentiate between taps, firmer presses and pushes. The good news is this adds a new dynamic to iOS – you can deep press on icons for quick launch options (eg on the camera: selfie, video and slow mo modes) or ‘peek’ (preview items with a press – like emails and URLs) or ‘pop’ (open the aforementioned items with a further push). This isn’t original (the BlackBerry Storm had similar functionality in 2008), but in theory it is brilliant and the potential for third party developers (particularly in gaming) is vast. So why is the reality a lot less appealing? I put it down to software implementation. As it stands iOS has no obvious way to indicate when 3D Touch options are available. Consequently you just hard press everything and see if anything happens: app icons, UI elements, etc. It’s complete guesswork and there’s no consistency between how third party developers implement it. Consequently using 3D Touch currently degenerates into speculation and memory. In time I’m sure this will improve and 3D Touch, like the Retina Display, will prove a hugely important and influential feature (probably copied by others) but for now it’s a work in progress that doesn’t make up for a screen which is falling far behind the competition. Winner: Galaxy S7 – the iPhone 6S has the more interesting tech, but many will forget about 3D Touch until it becomes more intuitive. Conversely the S7’s jaw dropping display will make you smile every time you wake up the phone. Yes the Galaxy S7 appears to have the iPhone 6S’s number and in pure benchmark terms it does (especially when normalised at the same native screen resolution), except that’s not how it works out in practice. Ultimately there is a massive difference in the perception of speed using these phones. Samsung’s TouchWiz user interface and bloatware are still by far the worst aspects of the Galaxy smartphone range. The Galaxy S7 is brutally quick but ragged. Apps jump and stutter and there’s noticeable lag, particularly in the browser but even when navigating basic menus or Flipboard (built into TouchWiz to replace the infinitely more useful Google Now). This doesn’t manifest itself out the box, but once setup with all your apps you’ll spot the so-called ‘jank’ setting in. By contrast the iPhone 6S is silky smooth. It doesn’t necessarily open apps or web pages faster and games run superbly on both devices, but the lack of any stuttering on the iPhone 6S gives the impression of a far more seamless user experience. There’s no phone on the market right now to match this, though the Nexus 6P is getting closer. In fact this in itself is worth nothing. The Nexus 6P offers a significantly smoother experience than the Galaxy S7 despite using an older, slower chipset and 1GB less RAM. Consequently the finger has to be pointed squarely at Samsung for TouchWiz’s ongoing inefficiency and bloat. You still get around 50 pre-installed (non-removable) apps (excluding carrier garbage), needless duplication (two email clients, two photo apps, two voice control systems, two app stores, two SMS apps, three media players, etc) and – despite looking better – it’s still full of rough edges. For example, the TouchWiz app drawer has the option to sort installed apps alphabetically but should you choose this you’ll have to resort them every time you install a new app as it will just be dumped at the end of the list by default. 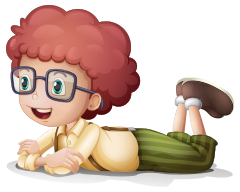 How did that escape testing? Of course Apple is not immune from criticism. For years now every new iPhone has been blazingly fast but then miraculously suffered when the next generation of iOS has launched alongside a new model. There are plenty of conspiracy theories about this, but the reality is iPhones tend not to impress so much after their first year. But this is about the here and now and right now the iPhone 6S (and by extension iPhone 6S Plus) is untouchable. Winner: iPhone 6S – until Samsung dramatically cuts down on its exaggerated and unnecessary over customisation of Android its phones are unlikely to be able to deliver real world performance with anything like the seamlessness of iPhones or Google’s Nexus range. The iPhone 6S also continues its fightback with its Touch ID 2.0 fingerprint reader. 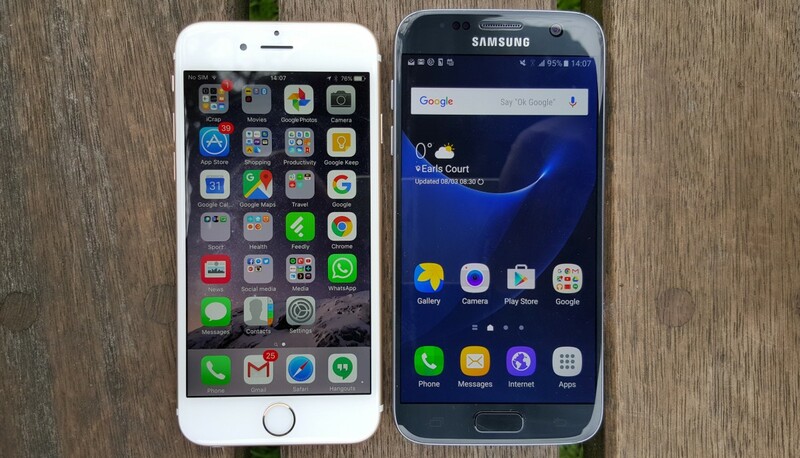 Samsung has improved a lot since the horrible swipe-based reader on the Galaxy S5, but the iPhone 6S still holds both speed and accuracy advantages over the Galaxy S7 having upped its game again since the iPhone 6 in 2014. Consequently whereas the iPhone 6S (and Nexus Imprint on the Nexus 6P and Nexus 5X for that matter) will ask you to ‘Try again’ perhaps once every few days, this will happen 3-5x a day with the Galaxy S7. Given we unlock our phones hundreds of times a day that is a very high accuracy rate, but not quite up with the best. Winner: iPhone 6S – Samsung has made great strides, but it still needs to overcome some accuracy issues to catch up with Touch ID 2.0 and Nexus Imprint. And yet when it comes to the camera the iPhone 6S comeback gets stopped in its tracks. Samsung stole the best camera phone title away from Apple with the Galaxy S6 in 2015 and with the Galaxy S7 it has now extended this lead. Yes, Samsung has dropped from the Galaxy S6’s 16MP to 12MP while Apple has jumped from 8MP to 12MP – and yet that is the only time the cameras are close. To be clear, the iPhone 6S still has an excellent camera but it hasn’t really improved from the iPhone 6. You’ll find more detail in good lighting conditions, but almost every high end smartphone camera will provide great results in good lighting conditions (aside from the HTC M9!) and a reduction in pixel size from the iPhone 6 (1.5 vs 1.22 µm) means it is actually worse in low light than its predecessor. And this is where the Galaxy S7 takes the iPhone 6S apart. As you’ll see in the two low light street images, the Galaxy S7 is a world ahead of the iPhone 6S. It is brighter, sharper and picks up colour and detail completely lost by the iPhone 6S sensor. The iPhone 6S photo is barely usable while the Galaxy S7 photo looks great – it isn’t even close. ‘Why?’ It comes down to a number of factors. While the two phones have 12MP sensors, the Galaxy S7 has larger pixels (1.4 vs 1.22 µm) to pick up a lot more light, a significantly faster F1.7 lens which it needs less exposure time to capture light (and so reduces blur) and lastly there’s the headline feature ‘Dual Pixel’. Remarkably 100% of the pixels on the Galaxy S7 are also used to help the camera focus which means it snaps photos and videos into focus almost instantaneously, even in poor lighting. By comparison the much hyped ‘Focus Pixels’ in the iPhone 6S use less than 5% of its pixels to help it focus and the lag compared to the Galaxy S7 is dramatic. All of which makes the Galaxy S7 the fastest, most consistently reliable camera I’ve ever used on a smartphone. And it’s a similar story with the front facing camera and video. The former again benefits from having an F1.7 lens so shots are extremely fast (though even with beauty mode off, they can be a little over processed) while video is class leading thanks to those Dual Pixels. It’s a move everyone else will need to follow. And yet the Galaxy S7 camera is not perfect. At times the auto HDR mode can be flaky – as seen in this Galaxy S7 vs Galaxy S7 Edge shot of the tree, the S7 (left) blew out the sky by incorrectly picking the non-HDR mode while the Galaxy S7 Edge nailed it. Meanwhile in good conditions the drop in megapixels can be seen as the Galaxy S7 actually has less detail in its shots than the Galaxy S6. At times low light specialist the Nexus 6P (which has even larger pixels – 1.55 µm) can also produce even better shots – but it is much slower to open and focus meaning the moment is sometimes lost. Winner: Galaxy S7. The iPhone 6S has a very good camera, but Apple has stood fairly still for the last three iPhone generations while Samsung has revolutionised the sector. If I were to rely on just one smartphone camera for a vital shot, right now it would be the Galaxy S7. As with performance, iPhone specifications on paper usually don’t tell the full story but this time there’s just no denying the benefits of the dramatically bigger battery inside the Galaxy S7. Whereas Apple controversially downsized the iPhone 6S battery from the iPhone 6 (1810 mAh), Samsung has increased it by almost 20% from the Galaxy S6 (2550 mAh). The result is the Galaxy S7 has regained the famous stamina prowess of the Galaxy S5 and even heavy users should get through a day without needing to charge. By contrast the iPhone 6S can be flat by lunch time. Yes iOS still sets the benchmark for efficiency in standby (even if ‘Doze’ has improved Android Marshmallow), but in use the iPhone 6S drains quickly, particularly in games. Furthermore the Galaxy S7 wipes the floor with the iPhone 6S when it comes to charging, both in terms of speed and flexibility. Whereas the 6S only accepts power from a wall charger and takes up to 2.5 hours to fully charge from flat, a Galaxy S7 can be charged in about an hour from the wall (it hits about 30% in the first 15 minutes) as well as wirelessly in about two hours (with support for both major wireless standards – Qi and PMA). The Galaxy S7 could’ve been even better. It actually omits Quick Charge 3.0 sticking with Quick Charge 2.0 (as the Exynos chipset doesn’t support it). Quick Charge 3.0 doesn’t bring massive speed increases, but it does reduce the power consumption required for charging by up to 40%. Meanwhile some will never forgive Samsung for ditching its removable battery option as the Galaxy S7 battery (like the Galaxy S6 before it) is fixed. In addition Samsung has chosen to stick with the ubiquitous microSD port. Many will love this, but as a fan of cutting edge tech I’d rather have seen it hop aboard the newer (and ultimately all conquering) reversible USB Type-C. Still these feel like minor complaints, especially when Samsung has the battery capabilities of its rival so thoroughly beaten. Winner: Galaxy S7 – Samsung is simply miles ahead of Apple right now with its super fast wired and wireless charging. Meanwhile Apple desperately needs to address this with the iPhone 7 later in the year. One area where Apple and Samsung have trailed their rivals for some time is their stubbornness to adopt front firing stereo speaker designs, and the iPhone 6S and Galaxy S7 continue this depressing trend. Both feature single, mono speakers and while the iPhone 6S is underwhelming (it’s loud but very tinny), the Galaxy S7 is actually a step backwards from the Galaxy S6. Why? It’s a side effect of the S7’s water resistance and this means the phone has one of the weakest premium smartphone speaker experiences around. As for Apple, iPhone 7 renders show Apple may finally incorporate a dual speaker design this year, leaving the Galaxy S7 well and truly behind. Winner: iPhone 6S – Apple’s win here is more a sign of Samsung’s regression than notable improvements in the iPhone 6S. Both must do better next time and the signs from Apple at least, are it will. Your first thought seeing these prices is probably to think I’ve forgotten several Galaxy S7 variants, but no – bizarrely – Samsung has decided it will only release its new phone in a single 32GB edition in the US. Why would Samsung do this? Because of the return of microSD support. So whereas iPhone 6S owners have to pick their storage option on day one and are stuck with it, Galaxy S7 owners can buy the 32GB option and quickly and easily expand its storage with capacious and affordable microSD cards. For example, while you’ll need a fast one (I suggest nothing less than UHS Speed Class 3), quick 128GB microSD cards can be bought for little more than $50 and this means owners can attain a 162GB Galaxy S7 for just $749. Meanwhile 200GB microSD cards are available from $100-150 dollars giving users a 232GB Galaxy S7 for $799 to $849. But there is a downside to this. MicroSD storage is nowhere near as fast as native storage and it represents a compromise for those who would’ve prefered to pay for more inbuilt storage. Here Apple rides to the rescue, though the company deserves severe criticism for continuing to offer a 16GB entry level storage as a cynical upsell tactic to the 64GB model. Winner: Galaxy S7 – most users will get by on 32GB (25GB accessible) for apps and uses the microSD card for storing photos and video which keeps the price down. Larger internal storage sizes should be available, but there’s no denying the value of the Galaxy S7 overall. Tallying the different section wins gives the Galaxy S7 a 5-3 victory over the iPhone 6S, but these numbers don’t tell the full story because in reality there is a large gulf between these two devices. The reasons for this are the win categories and margins. The Galaxy S7 wins four crucial categories (design, display, camera and battery life) by a long way, while the iPhone 6S has only one clear win: the speaker (hardly a high point) and the other two category wins (performance and fingerprint sensor) are attained by smaller margins. Meanwhile the Galaxy S7 throws in two more uncontested benefits: water resistance and expandable storage. And yet there’s still one big reason not to buy the Galaxy S7: Samsung’s butchering of Android. It’s needless, inefficient, self serving and yet self inflicted. That aside it is easy to see how Samsung has been so successful with the Galaxy S7: it listened. The Galaxy S7 improves in every major area compared to the Galaxy S6 and addresses customers’ biggest complaints. By contrast Apple has been moving at a more incremental pace and the iPhone 6S display, ergonomics, battery life/charging and storage options feel well behind the times. If Apple doesn’t address these with the iPhone 7 (a phone which will alsoremove the headphone jack) then Samsung could enjoy a phoenix-like revival over the next 18 months.